The capabilities of ultrasound systems continue to expand as practitioners and patients alike realize just how non-invasive and safe the practice is. Additionally, as the imaging produced by these machines continues to be enhanced, the healthcare industry as a whole sees this technology as a way to improve patient treatment. However, with this expansion in technology and capability, biomedical engineers are put on further notice—it is necessary to ensure that the ultrasound equipment owned by hospitals and medical facilities is always in working order, thus minimizing and avoiding potential downtime that can lead to a lapse in patient care. And of course, it is also necessary to control expenses. Many hospitals and medical facilities are forming collaborative partnerships with companies that specializes in ultrasound support and transducers repair that also operate in this field have the ability to repair existing hospital ultrasound equipment and also implement refurbished and quality-tested replacement parts. Some more advanced Ultrasound support and transducers repair companies have even created advanced Ultrasound Diagnostics tool kit that help the clinical engineer to diagnose and troubleshoot their ultrasound system. 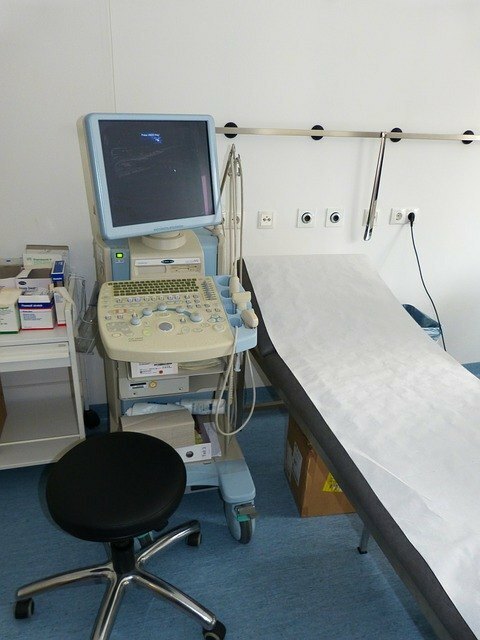 Ultimately, medical facilities that operate ultrasound equipment on-site are provided with a unique opportunity by forming a business relationship with a repair and refurbishment company—they can not only maximize the life of the equipment as a whole, but operators can also reduce costs when compared to using original equipment purchased from the manufacturer. Check the length of the warranty on any parts provided by an ultrasound repair and refurbishment company. While organizations operating within this space are required by the FDA to meet OEM specifications, each company documents this differently. However, companies that offer an extended or longer warranty compared to a competitor tend to also deliver quality parts that last longer. Learn about a company through their reputation within the clinical engineering community. Inquire about overall service and parts quality, responsiveness, and their ability to honor their warranties. Once a refurbished part has been received, the technology manager of a healthcare facility should inquire as to whether the equipment was repaired using specified OEM parts. While it’s true that there is no guarantee that the vendor being questioned will provide an honest answer, it is absolutely necessary for a clinical engineer to state their expectation regarding this requirement. A refurbished part will be a direct match for OEM specifications. Ask for repair history. Third-party repair and refurbishment companies must keep 10 years of repair and testing logs on file for each part they refurbish. Another point that is particularly important to know is that OEMs do keep the specifications for their products very close to their own figurative vests. This is because they offer their own repair and refurbishment services, so it benefits their bottom lines if this isn’t public knowledge. Therefore third-party repair and refurbishment services must do their own analysis on the equipment. It goes without saying that this is sometimes not an accurate process. When working with a third-party vendor, a clinical engineer must test the equipment repeatedly. In closing, it’s true that this might sound like a trying process, however, it is imperative to follow these steps to ensure the functionality of the equipment. Remember, each individual component contributes to the overall performance of an ultrasound machine—and if you are looking to partner with a third-party ultrasound repair and refurbishment vendor, make sure you follow these steps to find a company you can trust.